On the surface, it looked like Gigi Grant had it all. She managed a successful interior design firm. She had two lovely and precocious teenage daughters. And her best friends, Stacey and Vivian, were always there to offer support and share gossip over a bottle of wine. But as a single mom Gigi hardly found time for herself, balancing work, home, and of course, the revolving door of never-good-enough love interests. "A FUN READ! When You Step is filled with a memorable cast of characters, setting and story line all spinning around the unique world of Stepping. 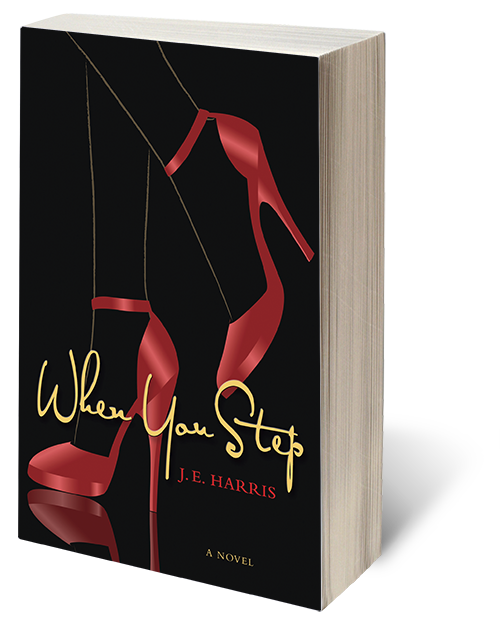 Harris' debut shows that she knows how to write from the heart and makes readers want to keep turning the page." Chicago Style Stepping is a derivative of several dance forms, including the jitterbug, the swing, and most notably the bop. Stepping consists of two or more people dancing as partners to a six or eight count beat or sometimes, no count at all. While stepping is not specific to any single community, it is uniquely historical to the African American community. Stepping brings together people with a wide array of personalities, perspectives, and passion for the dance. Whether old school, original, or new school, stepping continues to evolve and grow while remaining grounded in the social traditions of partner dancing.